Pastor Beau brought us the second installment of our series, “The Battle”, on Sunday. He preached about what it means to be in the world but not of it, and shed some light on a few passages of scripture that are often misrepresented and taken out of context. But before we launch into this week’s discussion, let me recap key points from week one. “…our struggle is not against flesh and blood, but against the rulers, against the authorities, against the powers of this dark world and against the spiritual forces of evil in the heavenly realms“. Beau asserted that our understanding of this verse, and others like it, inclines us to separate people. To draw a hard line between us and them-the “saved” and the “others”. We see the word “world” and use it to point the finger at one another, forgetting that “…our struggle is not against flesh and blood…“. We take the phrase “in the world, but not of it” and use it to isolate ourselves from other human beings created in the image of God. 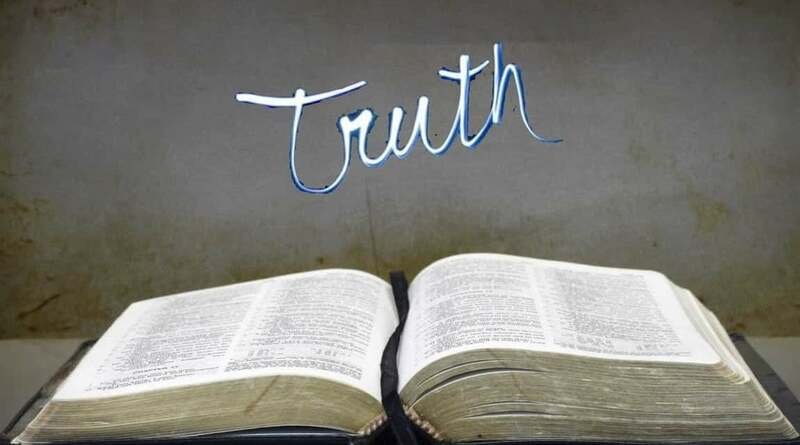 2 Corinthians 4:4 tells us that, “The god of this age has blinded the minds of unbelievers, so that they cannot see the light of the gospel that displays the glory of Christ, who is the image of God.” This verse reminds us that for a time, the god of this age (Satan) rules over the physical world. It is his way of life that permeates this age. And he wants to tempt and coerce all of us into adapting to his way. Pastor Beau told us that a better way to read Romans 12:2 would be to understand “world” defined (in this particular verse only) as “the lifestyle of the enemy”. This is what we are to resist, to be set apart from: the ways of our enemy, the tempting lifestyle he dangles in front of our desires. These are the key verses from Beau’s sermon. Can you see where the “in the world but not of the world” concept came from? You can absolutely pull that thought together from these verses, but to boil this passage down into that one phrase does a massive disservice both to Jesus’s main point and to our understanding of what He was really saying. When we read this passage and our takeaway is to isolate from “worldly” people and experiences, I believe the enemy celebrates. He celebrates every time we choose separation over connection. So I believe that part of his lying, deceiving lifestyle is attempts to keep us boxed in by our shallow understanding. He appeals to our desire to be “safe”, to be “separate”, “set apart”. If we are choosing to isolate in an effort to draw a line between us and the world, we are making a choice to be ineffective. That’s a lot of connecting. And that is always His way for us. We see it all over in Scripture. And why does He want us to be one with each other and with Him and the Father? Jesus prays that we will be one so that the world will believe. He prays, “…I’m not asking you to take them out of the world, but to keep them safe from the evil one.” The one we’re actually fighting. His ways. Not each other. Not other people who haven’t met Jesus yet. The evil one. And then He prays, “Just as you sent me into the world, I am sending them into the world.” Jesus sends us, His followers, into the world to fight the “worldly” battle. To fight against the ways-the lifestyle-of our enemy. In order to do that though, we have to live connected. Connected to Jesus, through His Spirit living in us, connected to one another, not isolated, and connected to the the layers of ourselves, too. We are three-part beings, made up of body, soul and spirit. When these parts are disconnected from each other–when our spirit is not in control of our bodies and souls, and not submitted to the Holy Spirit within us, things get messy. The enemy’s lies and temptations get in more easily, and separation and isolation begin to look more appealing than connection. Beau said that if we want to win our spiritual battles, like Elisha, our physical and spiritual eyes have to be connected. It’s all about connection. Our enemy knows this. So he spends his energy trying to separate us. From ourselves, from God, from fellow Jesus-followers, and definitely from those who have yet to call on Jesus as Lord. Pastor Beau concluded his message with the statement “Jesus changes everything”. He told us that this is the only reason we have a fighting chance in the battle, the only reason we get to fight from victory rather than for it. Jesus does change everything. If we open up our lives to Him and invite Him to have His way in us. How do we become people who see differently, who live with our spiritual eyes connected to our physical ones? We let Him transform us into new people by inviting Him in to change the way we think. The Jesus way, this upside-down Kingdom he modeled and asks us to carry to the ends of the earth–it doesn’t make sense to our physical minds. It is understood only in the realm of the spiritual and then it can connect to, and be made manifest, in the physical. Jesus never stood at a distance from the people who needed Him most. He knew His battle wasn’t against them. He came for them. For you. For me. His enemy was and is the same enemy we fight today. 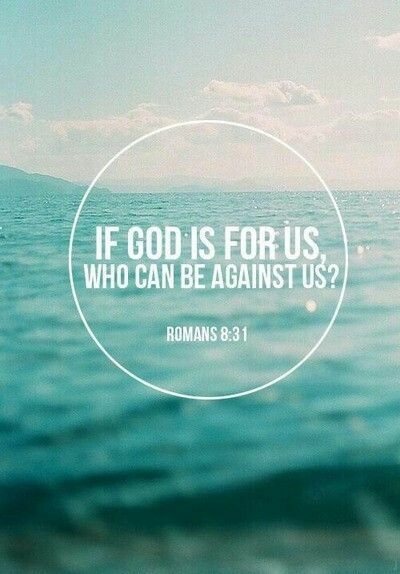 The battle is not against those who haven’t yet met God-it’s against the one trying to keep them in that place. We have to get this right, friends. Our battle is not against flesh and blood. It never has been and it never will be. And every time we choose to fight against another Image-bearer, we give a little ground to our very real enemy. Jesus calls us to a different way-His way. The way of connection, communion, oneness. It’s the way the world will come to know Him. And it’s the way we walk in victory over our enemy. I choose His way-even when everything in me wants to do it my way. Will you join me? Jesus himself refers to Satan as the ruler of this age in John 12:31, 14:30, and 16:11. 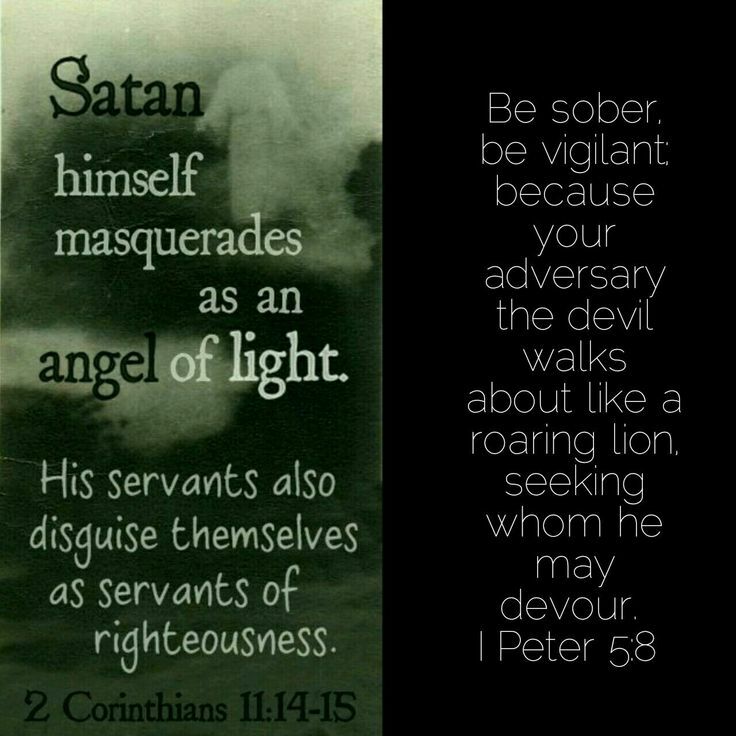 Jesus reminds us that Satan has no power over him, and that Satan already stands condemned. Satan is totally defeated–We don’t fight for victory, we fight from victory. The battle has already been won. Pastor Beau took us back to 2 Kings chapter 6 and reminded us of Elisha’s prayer asking God to open the eyes of his servant, which God did. The servant who was only seeing with his physical eyes, could all of a sudden see behind the thin veil into the spiritual realm. When the servant saw with spiritual eyes, his mind about their battle changed dramatically–he was thinking differently. His mind was no longer blinded. The next part of the story is fascinating. Elisha asks God to physically blind the enemy soldiers, which God does. Then Elisha leads them into a death trap. He asks God to restore their sight, which He does. The soldiers realize that things don’t look too good for them. The King of Israel asks Elisha if he should kill them. Remember–this is Old Testament, Old Covenant season–yet Elisha acts in a very New Testament way. His response? Elisha, who was fully aware that the battle was spiritual, responded with the spiritual weapons of the Lord that were powerful enough to bring down strongholds (2 Cor. 10 3-4). Elisha proceeded with incredible grace by providing a feast! Not bread and water, but a feast! Then sent them on their way. The result? The bands from Aram stopped raiding Israel’s territory. We are sent into the world with the ways of Christ. We are His physical body on earth. Thinking about Elisha’s actions, I am reminded of Romans 2:4 NLT– Don’t you see how wonderfully kind, tolerant, and patient God is with you? Does this mean nothing to you? Can’t you see that his kindness is intended to lead you to repentance? Does wonderfully kind, tolerant, patient describe us as His people–His body? If my flesh is leading the show, I’m indulging myself and way out of balance. If my soul is leading the show, it’s not good. My mind can make up all kinds of things that aren’t factual, my will can be stubborn and self serving, and my emotions can lead me far astray. The phrase “follow your heart” is a total soul led phrase–and it’s dangerous. Jeremiah 17:11 tells us The heart is deceitful above all things and beyond cure. Who can understand it? Can anybody else relate to that phrase as true? The only way the Jesus life works is to submit our alive spirit to the Holy Spirit and let the Holy Spirit lead. It’s the only way that people will see the kindness of the Lord in us and be led to Him. Pastor Beau reminded us that the war we are in takes place at the point where our physical world and the spiritual world meet. We really only have two choices. We can choose to conform to the lifestyle of Christ, or the lifestyle of the enemy. There is no neutral. In God’s eyes, there is no human being on the face of the planet that we can call our enemy. There are spiritual rulers, authorities, spiritual forces of evil working toward our demise at all times (and the demise of all humans). They hate God and his Image-bearers. When we choose to live with an us/them mentality, we choose the lifestyle of the enemy. I don’t know about you, but I don’t want to be a soldier on that side of the battle. I don’t want to fight for the enemy. Are we brave enough to ask God to show us the places that our minds have been blinded? Where our thinking is off? Are we humble enough to allow Him to show us? Are we humble enough to repent–which literally means get a new mind about what He shows us? Are we in tune enough with the Spirit to fight with the weapons of the Kingdom of heaven and fight for all people to be brought into the Kingdom of heaven? Living this way is radical. Taking a stand against the enemy for all people can be misunderstood. Sometimes it doesn’t feel comfortable–but it is always right. Can we see beyond the flesh and into the greater spiritual battle? Jesus was not sent into the world to condemn it, but to save it. As He was sent into the world, so are we. “As” means in the same way; therefore, we are not sent into the world to condemn it, but to love it and help people find salvation in Christ. Let’s be about plundering the enemy to populate the Kingdom of Heaven. It’s truly the only thing that matters. This is our commission–to make Him known. Are you in?